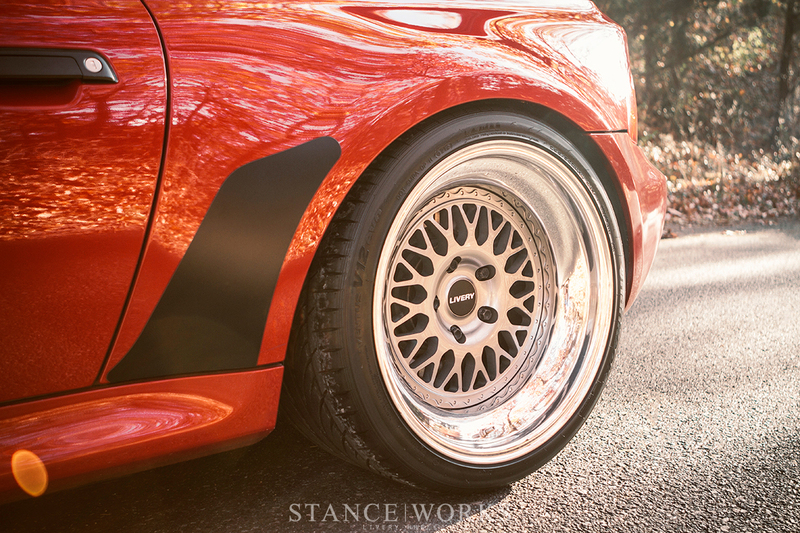 For as long as I've been modifying cars, it has been inarguable that wheels are the most defining, if not most important change one can make to a car. 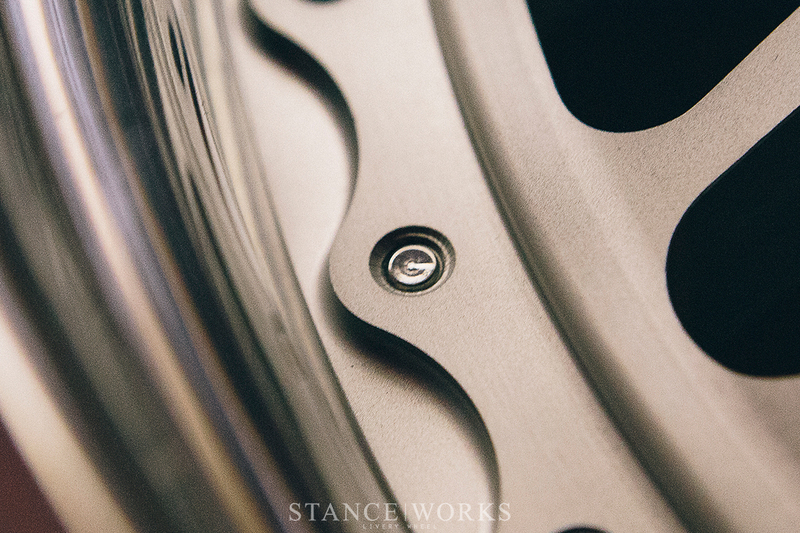 The wheel stands as one of the few components whose aesthetic contributions to a build can match the performance benefits of its unsrpung weight. 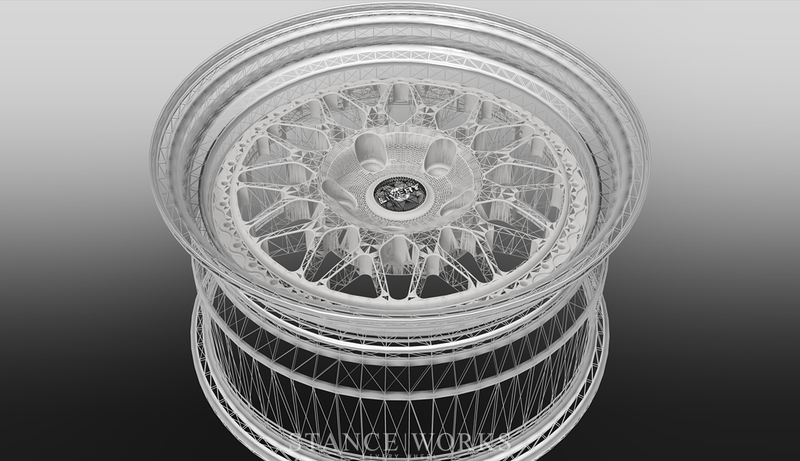 Anyone with a cheque book can start a wheel company, but imagining, designing, and building truly impressive wheels is an art form. There are certain companies that permeate the boundary between the monotony that fills tire shop catalogues, and quality pieces built by the names that have established true staying power in the industry. With the influx of new wheel companies that seem to flood the market however, it has felt almost impossible that one captures my attention as a true wheel enthusiast. Nonetheless, Livery Wheel has done just that. 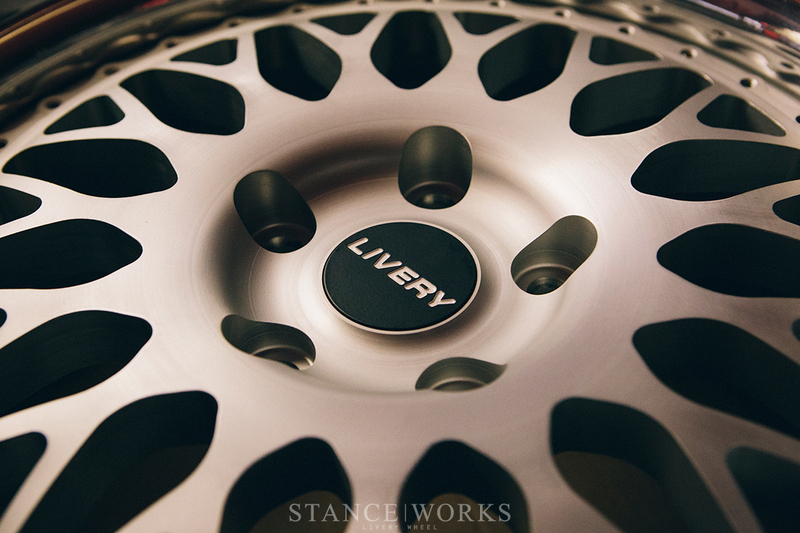 Livery Wheel is the brain child of two diehard wheel gurus, just like myself: Asim Prses and Larry Pipitone. Their wheel-collecting habits have lead to an assortment of BBS paraphernalia that is sure to fill any wheel nut with envy. It was their skill sets, however, that pushed them further: design, engineering, marketing, CAD, and of course, their love for wheels. With that, the two set off to chase a dream that is simply summarized as a desire to build their own wheels. 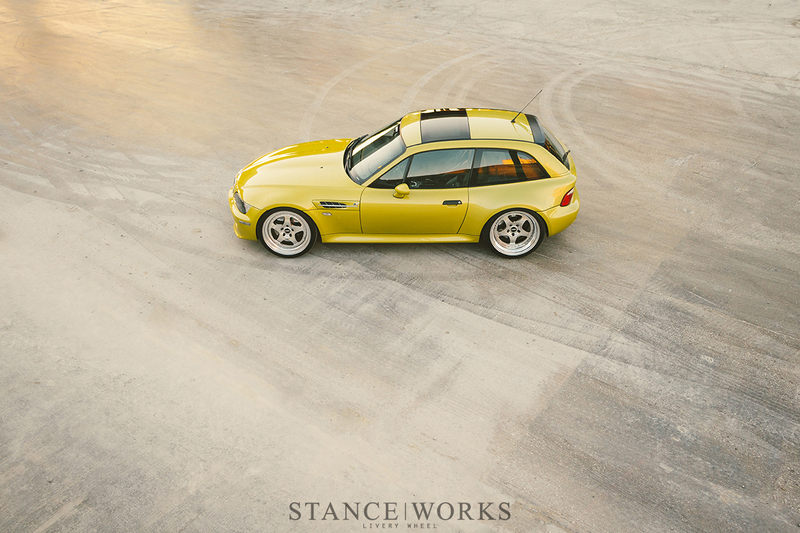 It was the sale of a set of BBS RS302s that brought the two together from a BMW message board. 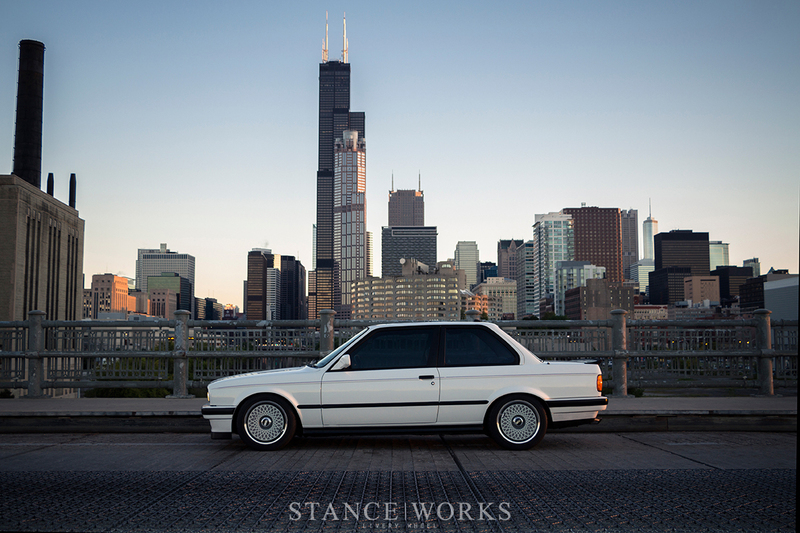 Their mutual respect and appreciation for truly great wheel design acted as a catalyst in bringing the two to where they are now: separated by 800 miles between New York and Chicago, yet joined together in an effort to push the wheel industry forward in some capacity. "We’d rather not chase trends. Perhaps even more important to us than making money is the desire to push the industry forward. Put everyone on notice." It's a big bite to chew for two young guys from the east coast and midwest, but it's their confidence that proves inspiring. When I first sat down for lunch with Larry and Asim, the two let loose on their thoughts, ranging from personal to business, each concentric around what was most important to them: wheels. Needless to say, I was in good company. The two rambled on about their ambitions - an inherent desire to build wheels and build a brand, despite its successes or reception. While everyone who embarks on such an entrepreneurial project strives for success in one avenue or another, those who are dedicated to their craft pursue the craft itself and let success follow organically. It was that mindset that I connected with immediately. As such, their efforts are defined yet artistic: "Livery is a project to build wheels harkening back to the simplistic beauty of pinnacle racers from the past; from a time when intimidating aesthetics were as important as technical innovation." It was in early 2012 that the two had begun focusing their efforts, and in July, 2013, more than a year later, their first wheel became a reality. 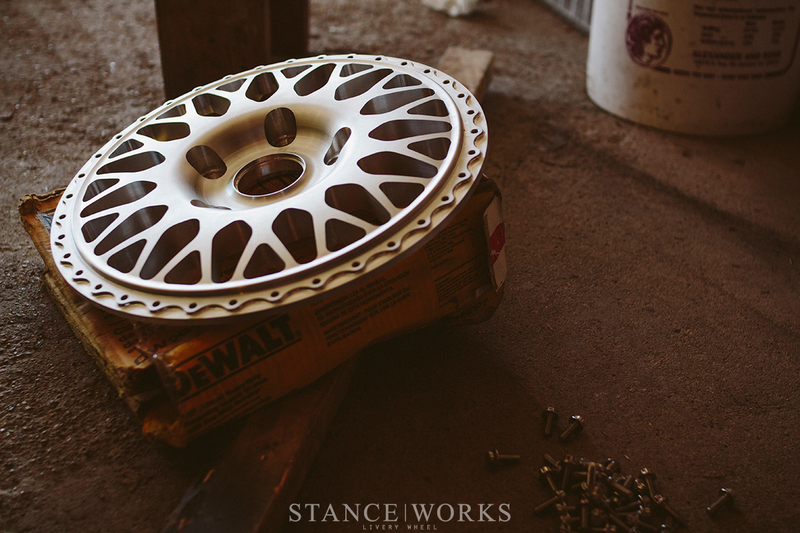 "We called everyone so that we could learn about the production of wheels in a real way. Who makes what, who supplies who. Where things are made and what's involved. We explored every route from full service wheel-in-box companies to renting time on local machines and sourcing our own forgings. Ultimately we partnered with a small independent race shop here in the U.S., taking on all design and development duties ourselves. It was understood that for us to create what we'd be happy with, we needed full control over our designs. 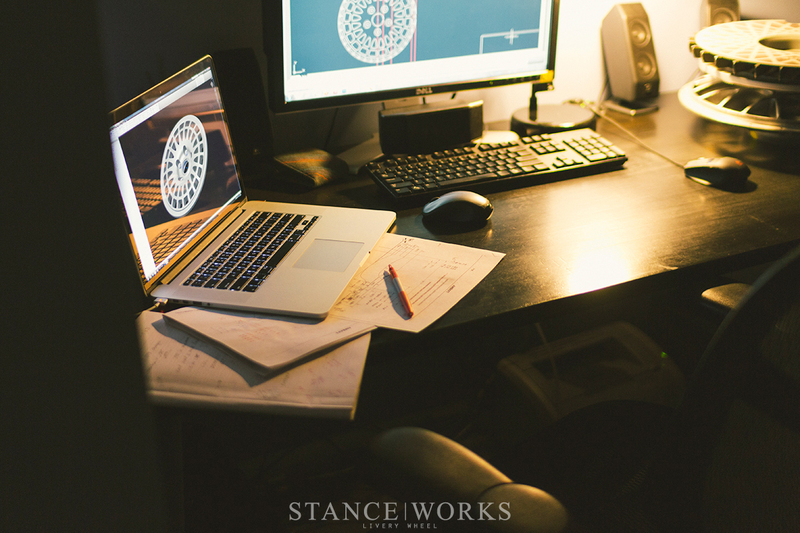 What we design is what the machine will cut." It comes as no surprise that such efforts consumed a full year's worth of time, but the hard work paid off, and the first wheel was born. 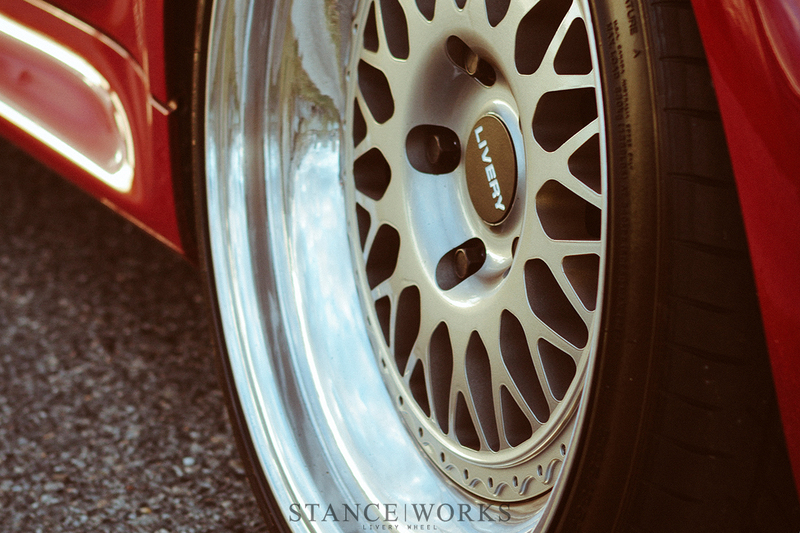 Named the "Proto," their first wheel did exactly what they set out to do: embrace the design cues that define the greatest motorsport wheels of the 90s - the likes of BBS's Impul leap from the spokes as the machined bolt-flanges speak to the likeness of the E88 they've both come to love. At least, that's what I see. The design is simple, but classic; refreshing in its own right. In any case, it's Livery's own, approached as a form of artistry instead of a commercial endeavor. Asim and Larry painted the ultimate picture: "Beacons of yellow light bounce as they approach. Blistering orange discs trail immediately behind. The howl of engines sputter and fade away. Then suddenly, silence. It is dark. The scene repeats for 24 hours; millions of explosions firing in chorus, but one victor is proven. Inspired by iconic endurance racers, the Livery Proto is at home every bit on the street as it is on the track." Creating a wheel and bringing an idea to physical fruition is one thing, but the important step is allowing the wheel to do its job. With excitement that I am sure is inexplicable, Asim and Larry got to work in their own garage. Sharing similar roots as me, the two are BMW fanatics, each owning the often-loved and often-hated Z3 M Coupe, one in Imola Red and one in Phoenix Yellow. 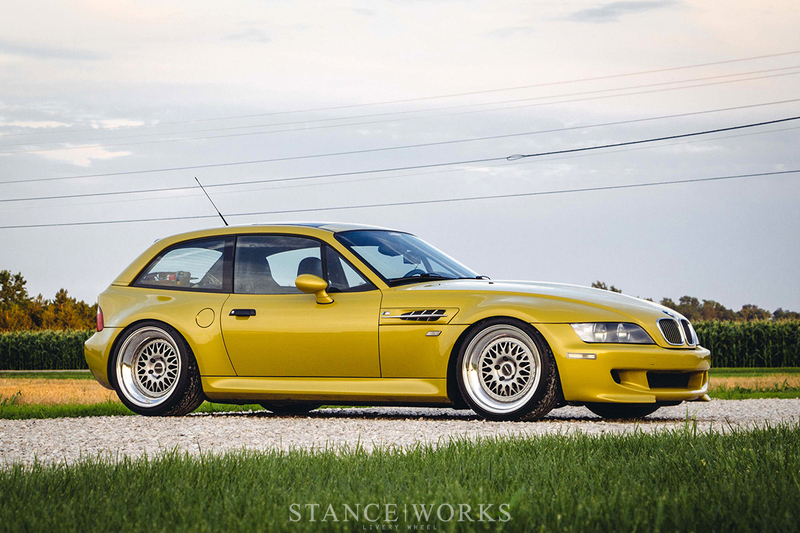 Armed with a set of Ground Control coilovers, the two took to the Phoenix Yellow coupe, assembling and mounting their very own first set of wheels. 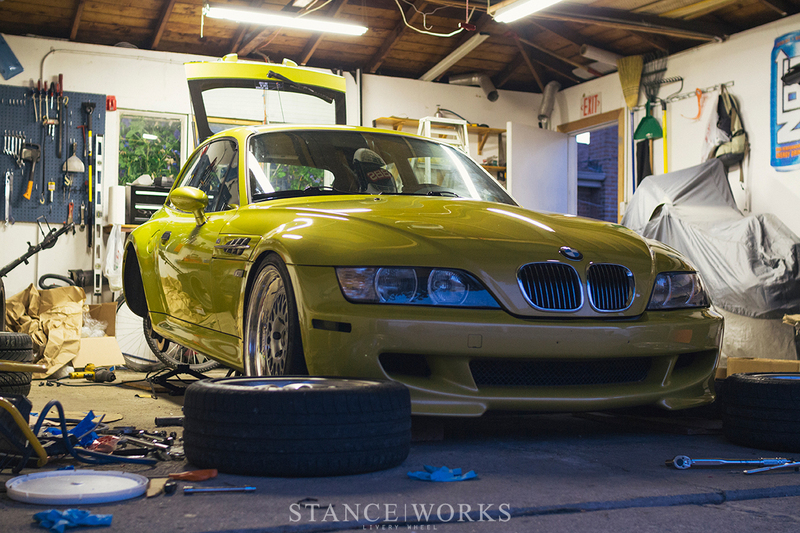 In a garage just like yours and mine, the two prepared the car and wheels for their unveiling at Bimmerfest East earlier this year, embracing a grassroots beginning that for many is relatable. 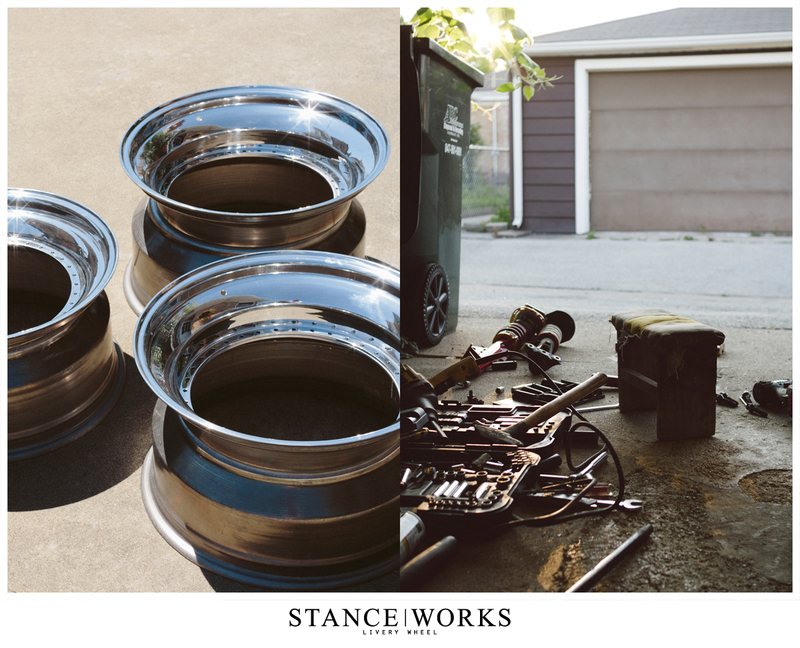 For us at StanceWorks, it's exciting to witness the birth of a wheel company born from enthusiasm and passion, and if there's one thing we hold near and dear, it's a garage floor covered in tools. In the name of staying true to the wheels that inspire them, the Protos were designed to take a step - a true, physical step - in the "old" direction. 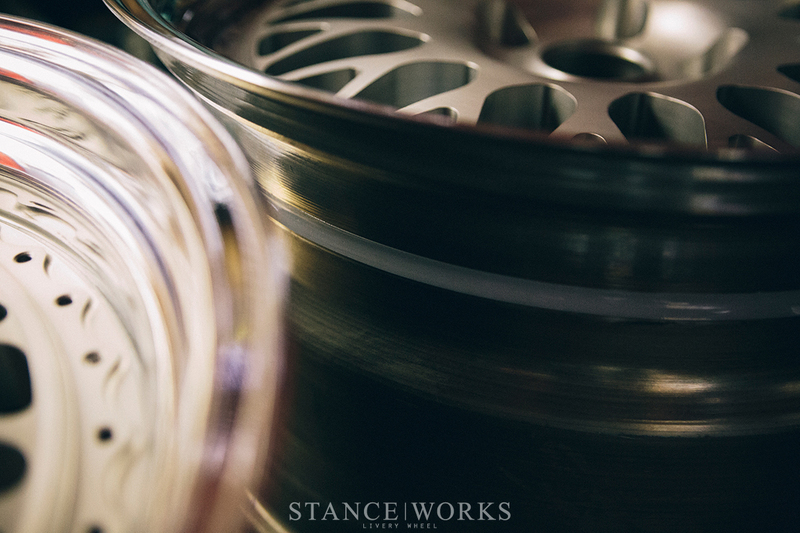 The centers are smaller than a standard 18-inch wheel, utilizing the structure of the lip to make up for the diameter: a design element seen in some of the greatest racing wheels of all time. 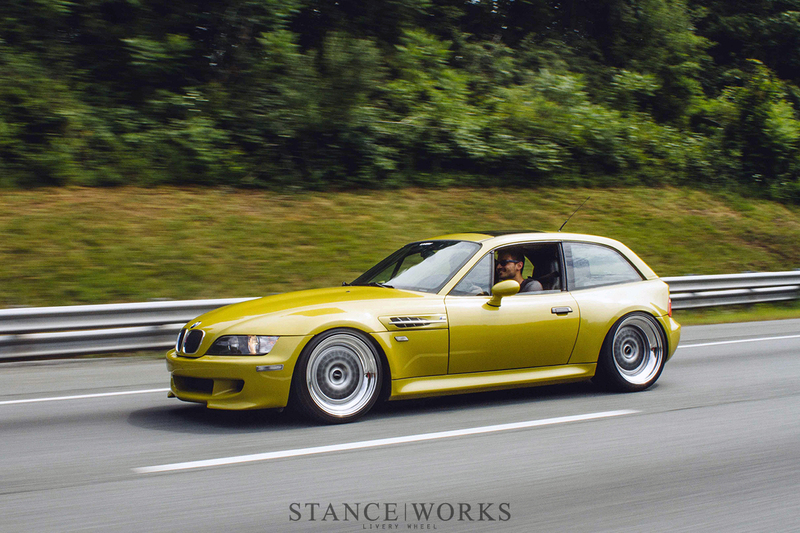 The wheels found their way onto the Phoenix Yellow coupe's counterpart, playing off of each other perfectly. 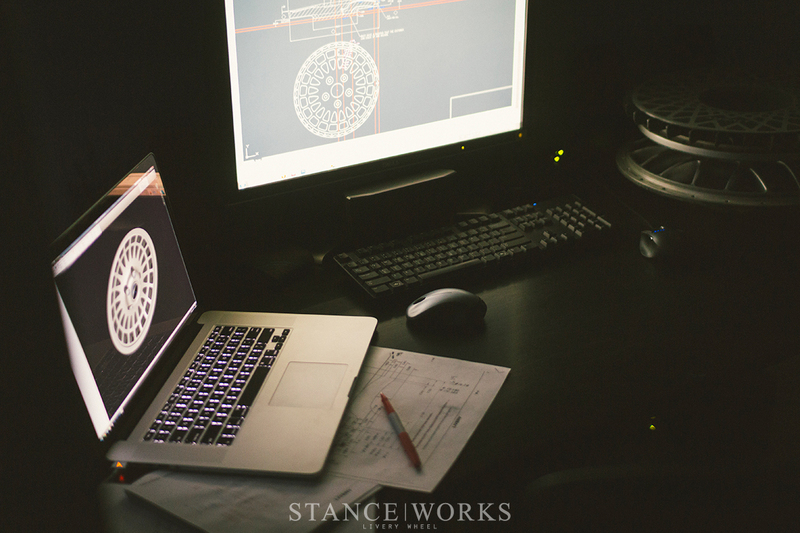 However, while Larry and Asim were working hard on perfecting their first wheel design, there was far more on the table. 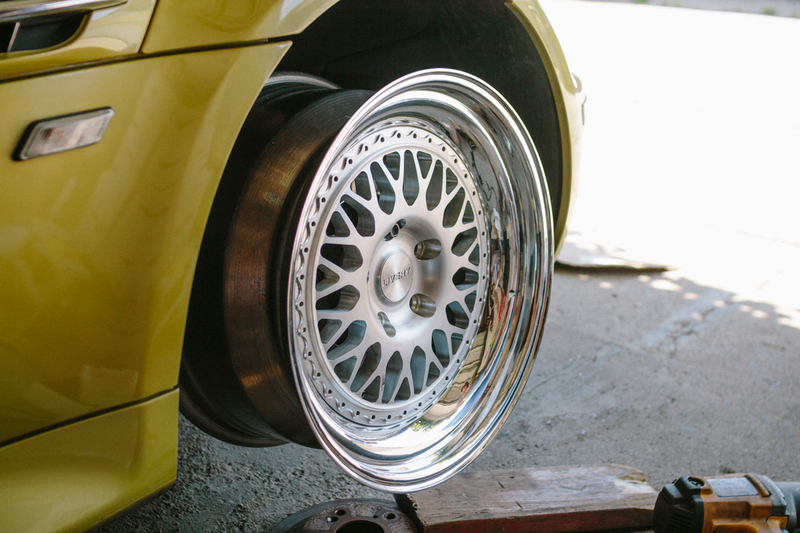 With the unveiling of their first wheel at Bimmerfest came the unveiling of a second project, one that had consumed them since the conception of Livery itself: Turbofans. I've been acquaintances with Asim for some years now, and his love for fans has been clear-cut since day one; it was only a matter of time before the two took on a project to bring turbofans to the market. Hurdles ranging from construction and production methods, to design elements and perfecting the style, the turbofans were arguably harder to bring to reality than the aluminum wheels they attach to. 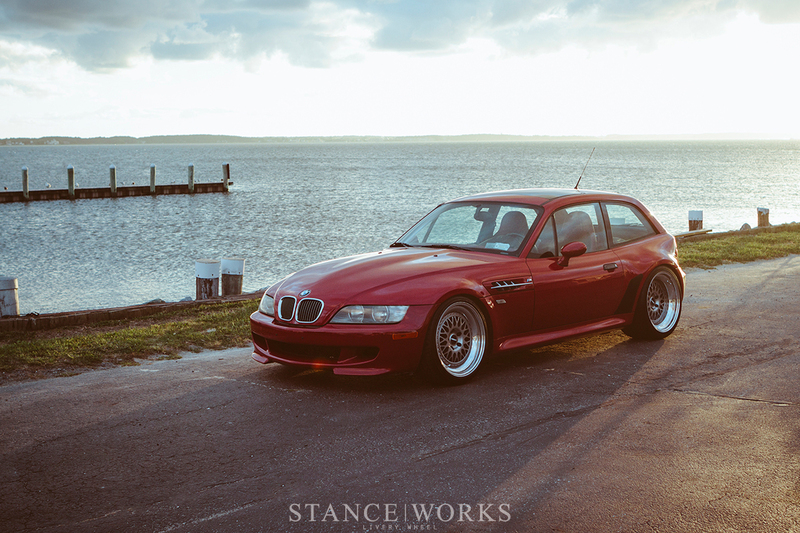 Nevertheless, when Bimmerfest arrived, Larry's project E30 M3 was fitted with their first set, solidifying the Livery name's roots and brand direction in one fell swoop. With that, Livery has been aggressively pursuing the Turbofan project. As of today, the third round of turbofans have been produced, all in the name of keeping classic motorsport wheel authenticity alive. 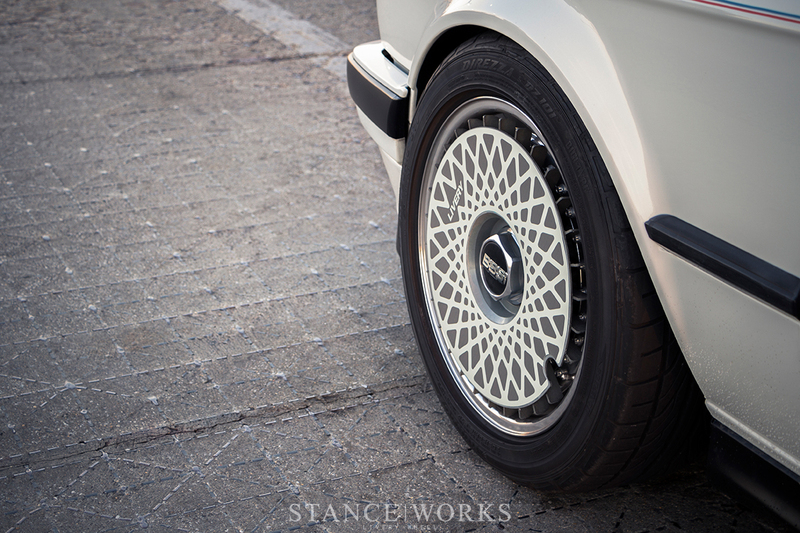 While paying homage to classic wheels is one thing, Livery aims to pay its respects to every facet of the niche. Just as the wheel is the quintessential blend of aesthetics and performance, the turbo fan embraces identical ideals: Form and function can coexist in perfect harmony. In October of this year, Livery fulfilled the next project on their list, this time entitled the "Tecno." The Tecno is brought forth in the pursuit of the ultimate 5-spoke wheel, a design which is embraced as one of the most definitive wheel designs. As they did with the Proto, Livery themselves said it best: "When the first five spoke was forged, the goal surely wasn’t to create an icon transcending eras, countries and eventually, brands. But that’s what happened. So if someone asks, tell them you don’t iron your favorite jeans and you don’t mess with the classics." The Tecno is their take on a classic, infused with their own accents and touches to leave their mark. The boys are back hard at work, eager to bring their next project to life, the likes of which we're not allowed to mention. However, what I can say is that the card up their sleeve solidifies my trust in them as a true wheel fanatic. What comes next has me excited, eager to see what the future holds for Livery, their ideas, and their emphatic take on what I love most about car modification. 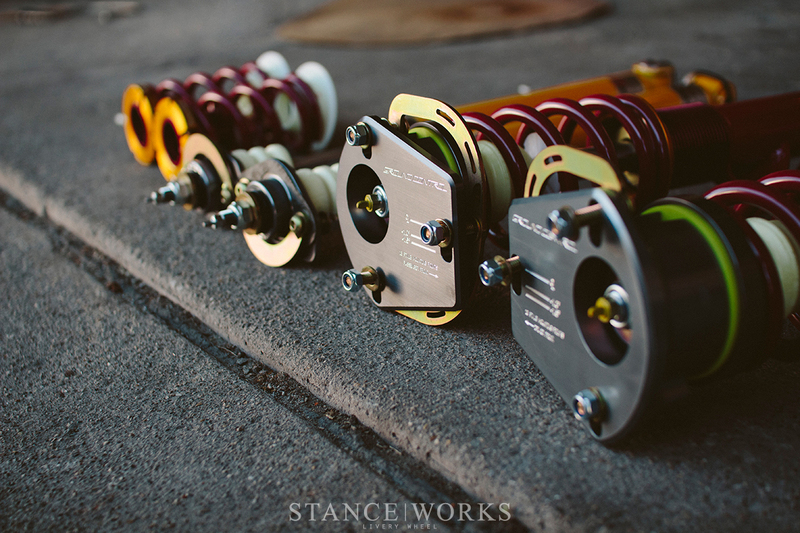 With that, StanceWorks is proud to introduce: Livery Wheel. 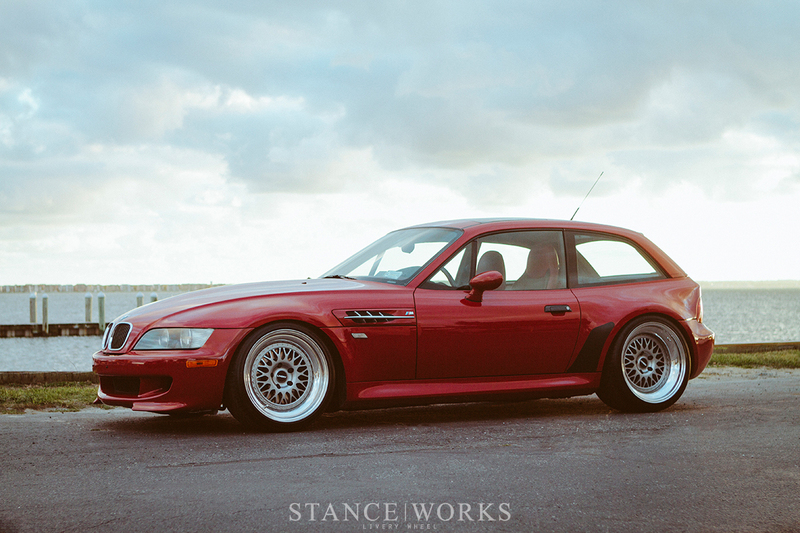 Those wheels are beautiful. Always a fan of almost everything you do. Maybe I’ll buy a set when i’m not so young and broke. Aew Jean… lembrei de tu vendo a materia rsrsrs!! vlws lesk! Tecno looks like Oz Futura or Work Meister S1 copy. I am not a fan of BBS copy either. 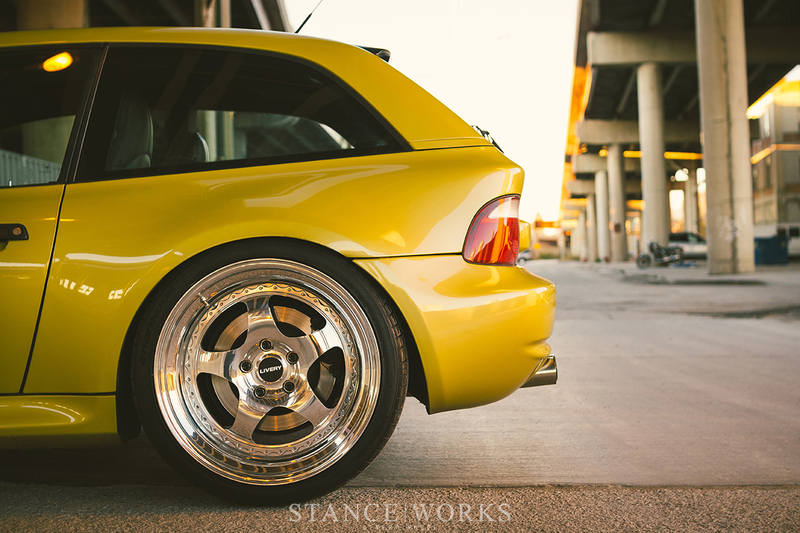 I don’t understand why Mike glorifies these wheels so much. @deni2s You’re right, and I agree. I’m trying not to be another internet hater, but these designs are derivative (although they admit that, I suppose), so I fail to see how they are “pushing the wheel industry forward”. The spoke design of the Proto Race is reminiscent of the Fiske FM/10. The other thing I find a bit odd is how Livery is marketing their products. 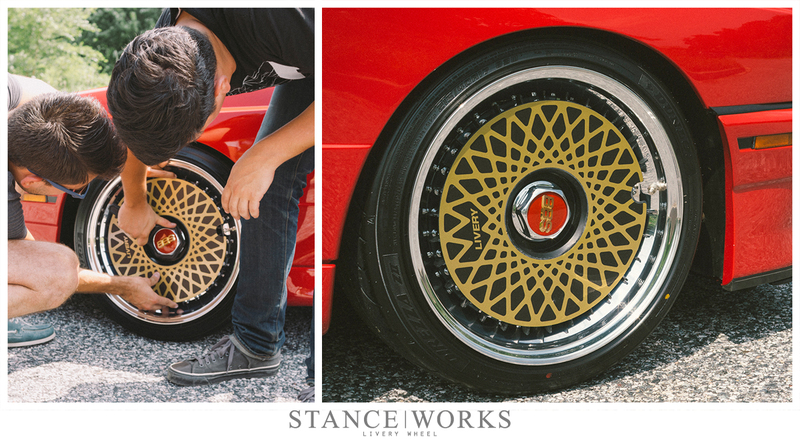 These are ultra-pricey show wheels for hard parking… You aren’t going to find anyone using them on the track. Nevertheless, they ARE pretty wheels, I’ll give them that. Sure, there’s only so many ways you can cut holes into a circle, and the simple aesthetic of a mesh or five spoke wheel is hard to beat, but for the price Livery is asking versus other quality manufacturers? That said, I applaud the concept, construction, materials used, and the fact that these guys are going for it by doing what they love, not taking “no” for an answer. Just like you guys, I really appreciate that. @bmw325_num99 I hope so! 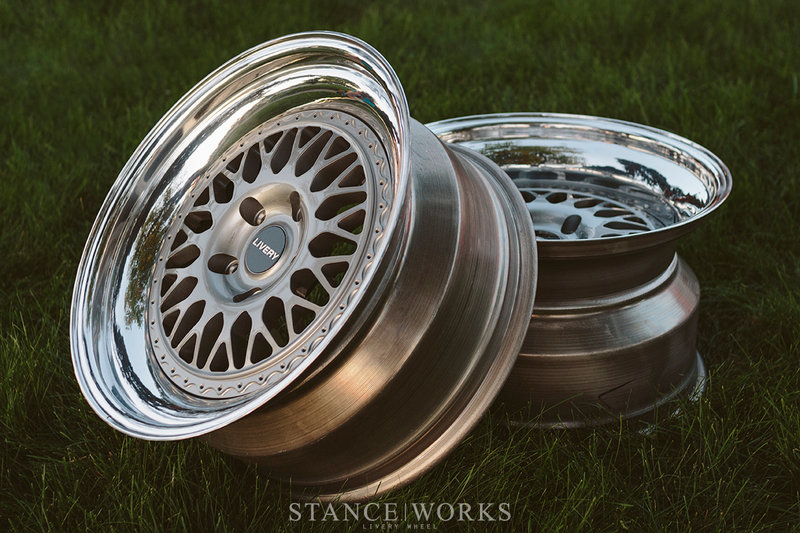 I’ve been looking for a company that makes turbo style wheels and there are so few left. Ronal and HRE are two off the top of my head. Compomotive went under and many others discontinued them. If anyone knows of any others who still make them let me know. Wheel fans are sweet as well. I just went to Livery’s website and didn’t see the turbofans for sale. Maybe that’s a special order thing…? …and they’ve yet to bring anything “fresh” to the table. Keep in mind that you’re discussing a company who has only just begun and, for the most part, are still in the preparation stages of their business. This article is simply an introduction because we’ve talked with the guys at Livery Wheel and we believe in their vision. I’m sure you’ll see more from them as the 2014 kicks off.